The Victor Wooten Band put on a show featuring four bassists, all switching up on multiple instruments at various times during their set, along with a vocalist with a truly, truly unforgettable voice plus two extremely talented drummers. Their set was as unique as it was enjoyable. If rhythm sections float your boat, you better be prepared for a musical tsunami with this bunch. The band members are Krystal Peterson on vocals; Kelly Gravely on vocals and drums; Derico Watson on vocals and drums; Anthony Wellington on bass, keyboards and vocals; Steve Bailey on bass, keyboards and vocals and Dave Welsch on bass, trumpet, keyboards and vocals. With their individual skills, any of these musicians are good enough to build a fantastic band of their own with themselves as a focal point. Catching these folks performing as an ensemble at an intimate venue like Asheville’s renowned Orange Peel, made for a very special evening. 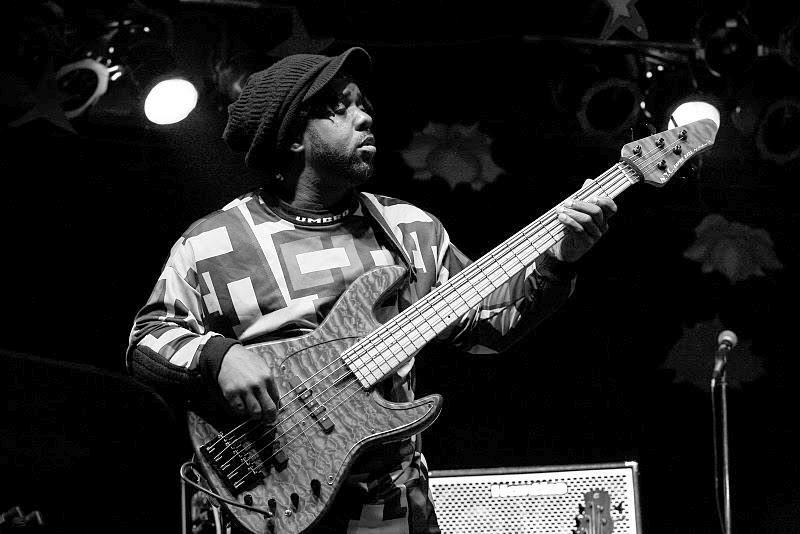 Victor Wooten spoke about the details of the tour and how the band came together. Of particular interest is the fact that all four of the bassists agreed to play three instruments during each show of the tour. As for Krystal Peterson, Victor told of how she came to be in the band. After hearing Krystal's voice, Victor made a point to get in touch with her so he could have at least one song from a recording session for his own enjoyment. The two obviously clicked and she joined the band. I try to stay away from clichés and hyperbole BUT Krystal's vocals certainly fit the qualification of a vocalist that sings like a bird. Think gone from this planet way too early, 70’s soul superstar Minnie Riperton’s love song, Loving You and you will be in the ballpark in reference to Krystal’s voice. While the band is named after Victor Wooten, he gladly encourages his band mates to shine. Throughout their set, each of the members was given the opportunity to demonstrate their skills. From the gentleman playing softly to let Krystal’s voice ring out, to each of the individual solos, to Victor plucking his bass so vibrantly it made people in the audience actually jump, their performance was literally a musical maelstrom of maestros. Amongst the jams and solos, the audience was treated to Victor’s My Life, while the band intertwined such pop and soul classics as the Jackson 5’s I Want You Back, Stevie Wonder’s Overjoyed and Let’s Hear It For The Boy by Deniece Williams. The Victor Wooten Band is an act not to be missed. Jimmy Herring did not sport his traditional flannel shirt but he and his band did have their “A” game on this evening. The band members are of course Jimmy Herring on lead guitar, keyboardist Matt Slocum, Jeff Sipe on drums and Neal Fountain on bass. To sweeten the deal, the Steep Canyon Ranger’s Nicky Sanders joined the band on fiddle. The interplay between such accomplished musicians as the Jimmy Herring Band is both memorable and inspirational. Nicky Sander's masterful fiddle playing had Jimmy and Neal Fountain laughing and shaking their heads throughout the set. Keyboardist Matt Slocum repeatedly and powerfully bounced from playing lead along with Jimmy in addition to teaming up with the beats of drummer Jeff Sipe to keep the Orange Peel’s crowd delighted, dazed and dancing. Dodging clichés when writing about the Jimmy Herring Band is no problem because their talents and tightness as a band are hard to compare but the hyperbole, I make no promises. In fact, let us get the hyperbole out of the way. These boys BLEW up! Of course the use of the word “boys” is in the most complimentary of southern expressions, yall. Having the opportunity to speak with Jimmy at a festival this past autumn, I asked him what it is like to be so talented. Do the notes just flow or does he have to think the notes through? Basically, the course of the day determines how the notes interact with his spirit, mind, body and guitar. On chill days, the notes come as they will. On not so chill days, more thought is required. Whichever kind of day it may happen to be, being in his musical presence is always a treat. I wanted to ask him how in the world does he get his fingers to move so fast but that seemed a bit too personal. Of greater importance than how quickly Jimmy Herring gets his fingers to move is Jimmy’s view on music. Stating simply that his goal is to make music with no genres, styles or titles attached. Just to make music that everyone can enjoy. Admirable. Let us hope the people of this shining ball of blue we call our own get to that point with music and with the daily interactions we have with our brothers and sisters from all walks of life. On this night, just like every other night for the past twenty plus years of playing with the likes of the Aquarium Resuce Unit, The Allman Brothers Band, Phil Lesh and Friends, The Phil Lesh Quintet (Don’t sleep on the Q ! ), The Dead and currently Widespread Panic, Jimmy and his band mates certainly delivered. Being primarily a band that focuses on instrumentals, Jimmy’s band allows fans the opportunity to sing along as they will. On this night, playing such songs as Since I’ve Been Loving You from Led Zeppelin to A Day In The Life or Within Without You by the Beatles, the crowd was free to sit in as guest vocalist or just let their imaginations roam to the sound. In closing, here are a couple of clichés for you cliché lovers out there. The Victor Wooten Band had more talent on stage than you could shake a drumstick at. 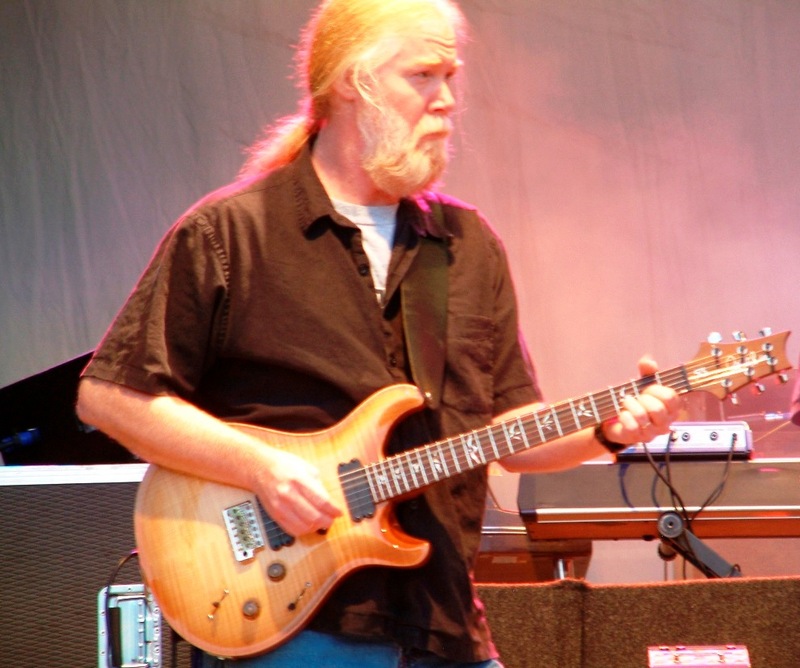 As for the Jimmy Herring Band, they played finer than frog’s hair. Frog’s hair is really, really fine yall.